This is a great and very practical wooden wall store, with plenty of storage space and some good little features that really make it an excellent purchase. And the price helps. We think you get a lot for your money here. 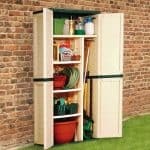 The double doors are the immediate bonus as soon as you see the unit. 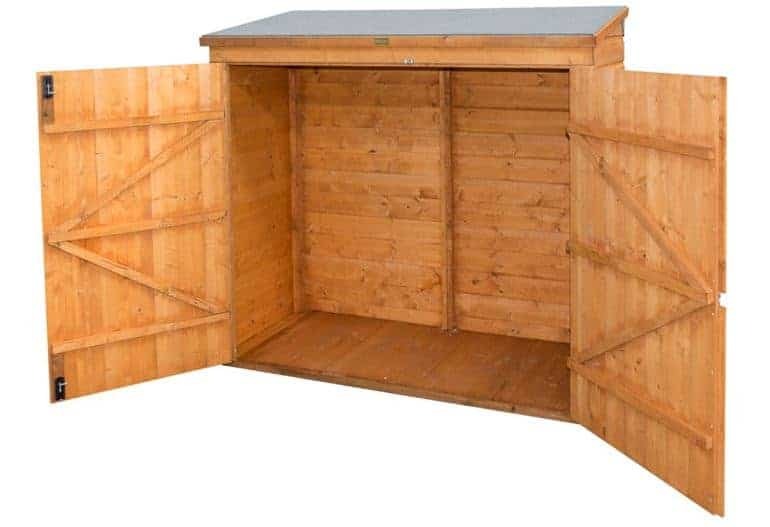 They are large and they open up nice and wide, allowing you into the unit for full access. The best thing about these double doors is that they literally open up to allow you into every inch of the interior, maximising the floor space. 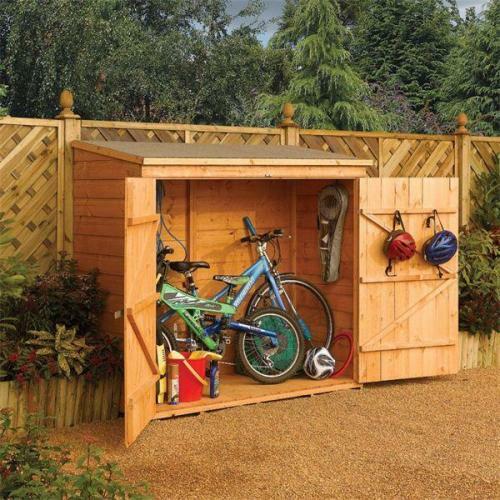 It’s big enough to store bikes, or just your garden tools and toys, but it is definitely enhanced by these generously-sized double doors. There are also some neat aspects around security, with a padlock locking system so you can be sure your belongings are kept safe and secure. A final feature that we like is the pent roof, perfect for banishing rainwater from the building quickly and efficiently. What is the cladding like? 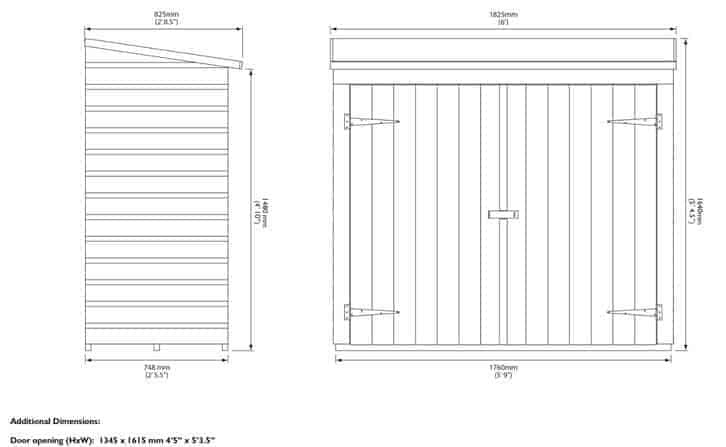 It’s shiplap, and this gives you a little extra protection against the rain. The shiplap has a little lip in between each plank, so you have a durable and efficient shield against rainwater. It is very effective, and just another example of how the building is protected. Any extras? 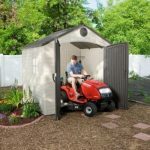 Yes, it comes with a shed base so you can have it installed quickly. There is also some high quality roof felt supplied with the unit so you can be sure of a protected roof. 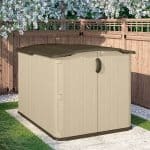 The unit also comes with a shed floor so you have that particular aspect of the building taken care of. What is it made out of? Softwood. This is very popular wood that looks smooth and attractive. 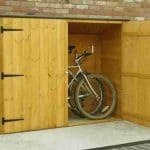 It is also sustainable wood that allows you to be safe in the knowledge that you have an environmentally friendly unit. 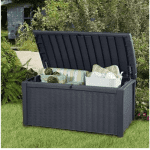 Rowlinsons wooden garden wall store: So what’s the quality like? As a practical unit you’re looking at something that seems to have been created to help you. The wide double doors make for easy access, and the padlock facility gives security. There is no pressure treatment for the timber though, which would have swung it for us. We think it is a useful unit to have. We would have liked to see an investment in pressure treatment (especially because it’s a storage unit) but we were pleased overall with the interior space and the attention to detail.